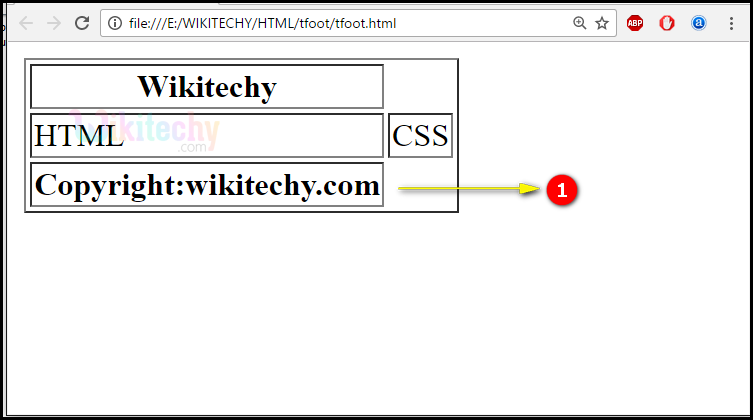 The <tfoot> tag is used to grouping the footer content in an HTML table. The <tfoot> tag supports Global Attributes and Event Attributes. The attributes of <tfoot> tags are align, char, charoff, valign are supported in HTML 4.01. <tfoot> tag- is used to define the footer of the table. 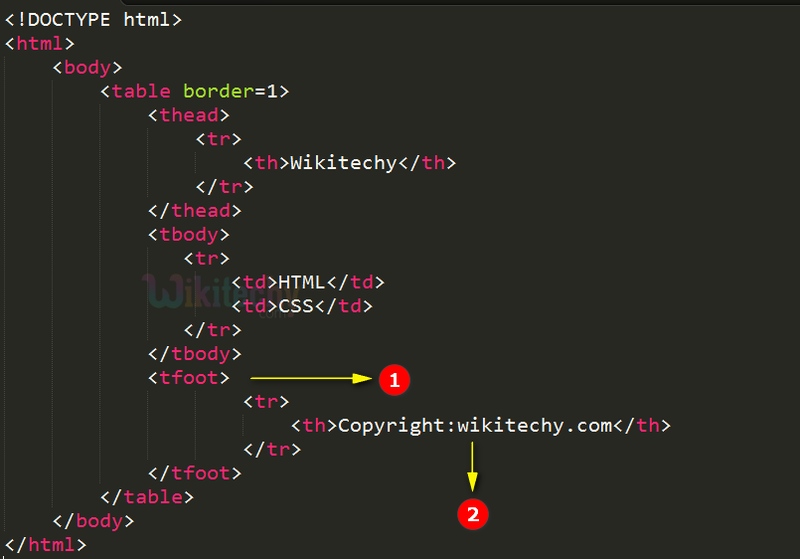 Copyright:wikitechy.com is declared inside the table footer. The statement Copyright:wikitechy.com indicates the table footer. char Yes No Provides the alignment of the content inside the <tfoot> element. baseline Yes No Describes the alignment of the <tfoot> element content in vertical. char character Yes No Defines the <tfoot> element content alignment related to a character. charoff number Yes No Provides the number of characters in <tfoot> element. Inside the <tfoot> element we can define any number of <tr> tags.